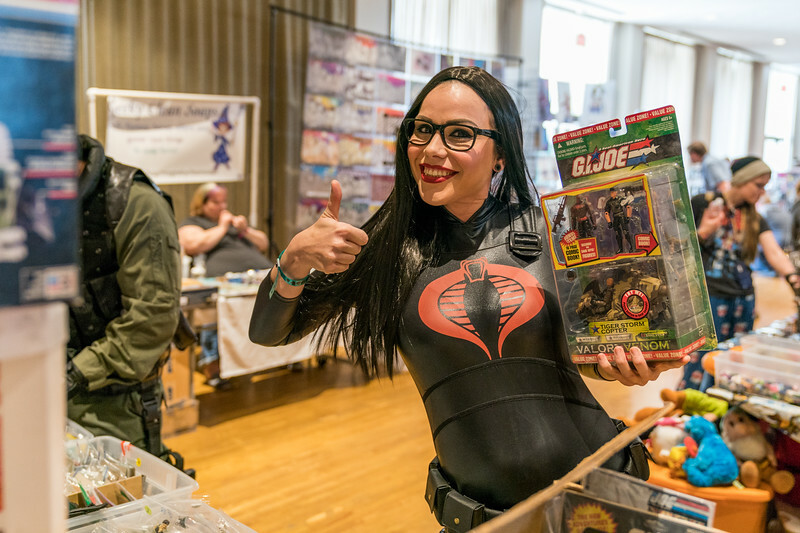 Sac-Con came to the Sacramento Convention Center this past weekend. 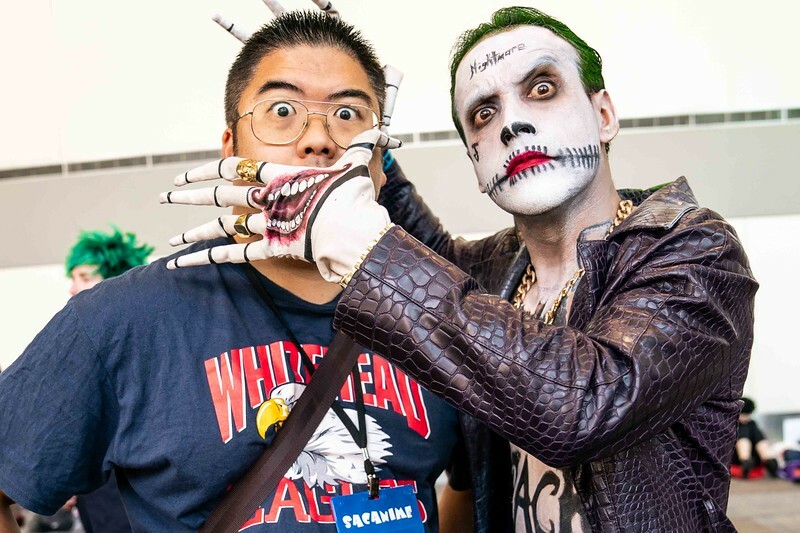 This one day con was on Sunday and is really geared towards those who are into comics. 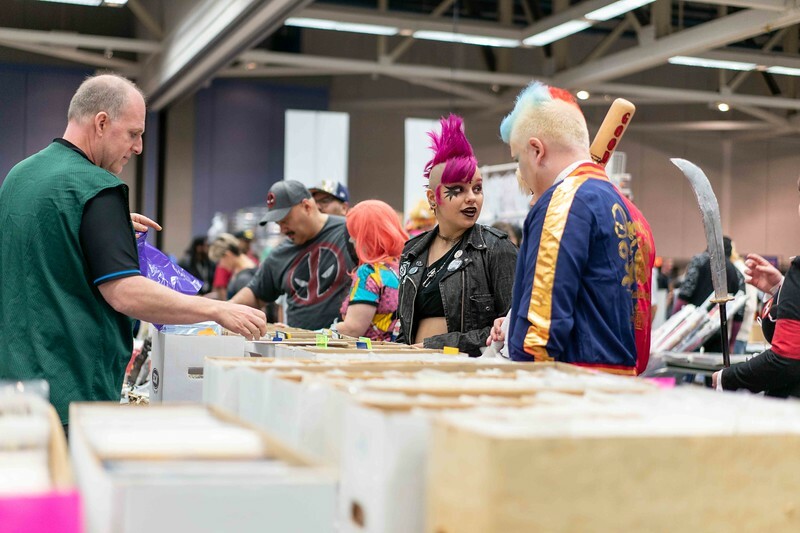 The large main room was filled with vendors - many of which had boxes and boxes of comic books to search through. 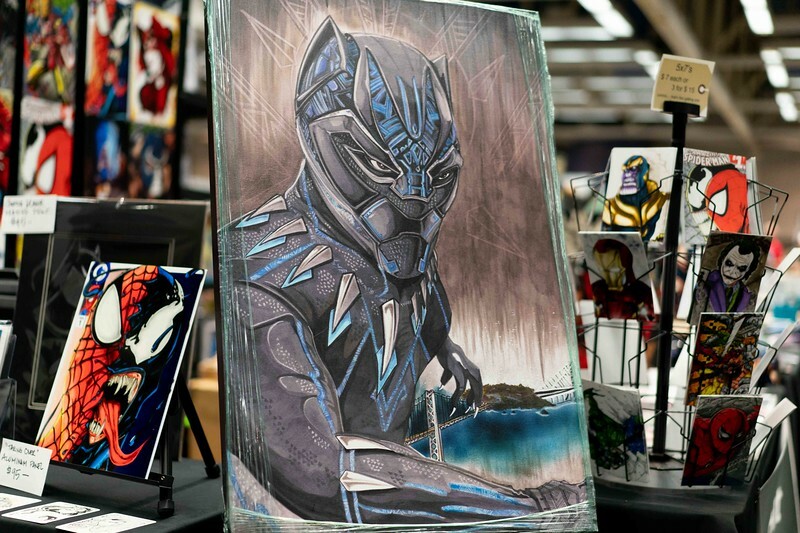 As a kid, I loved comic books, and this is the con I'd be all over as a youngster! Sadly, I forgot to bring my list of Uncanny X-Men needs with me this time around. But that just left me more time to get some photo and video coverage of the event! 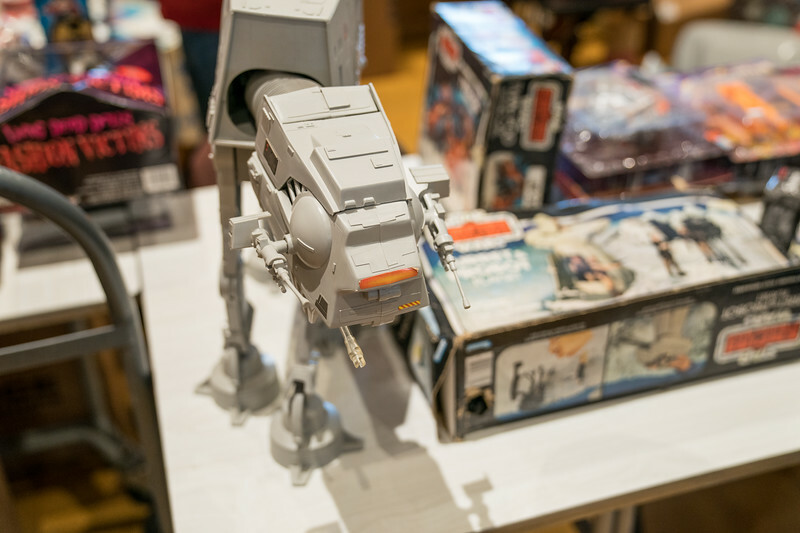 Besides the books, vendors were selling toys, memorabilia, and artwork. I saw a lot of great original artwork that I would have loved to take home with me. 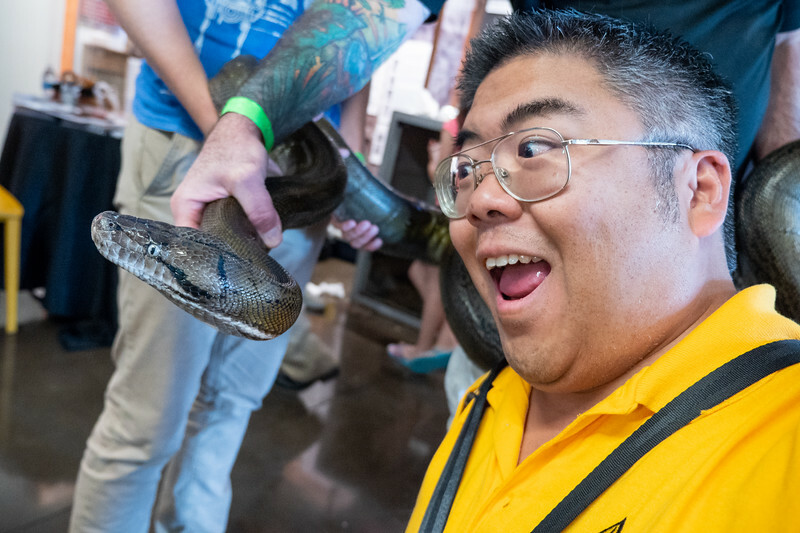 As always, there is a huge variety of things to see and do whenever you go to a con. 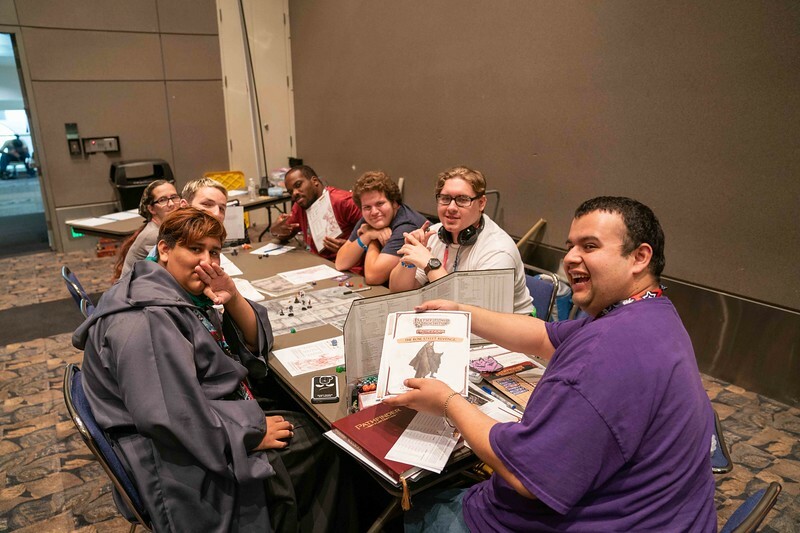 Besides the main room at Sac-Con, there were multiple panel rooms, a video game room, and a card game room. I enjoyed the fact that each room was relatively close together so I didn't have to walk all around the convention center to get from one point to another. Found near the rear of the main event room were the special guests. Artists and actors were the primary guests that attendees could meet. 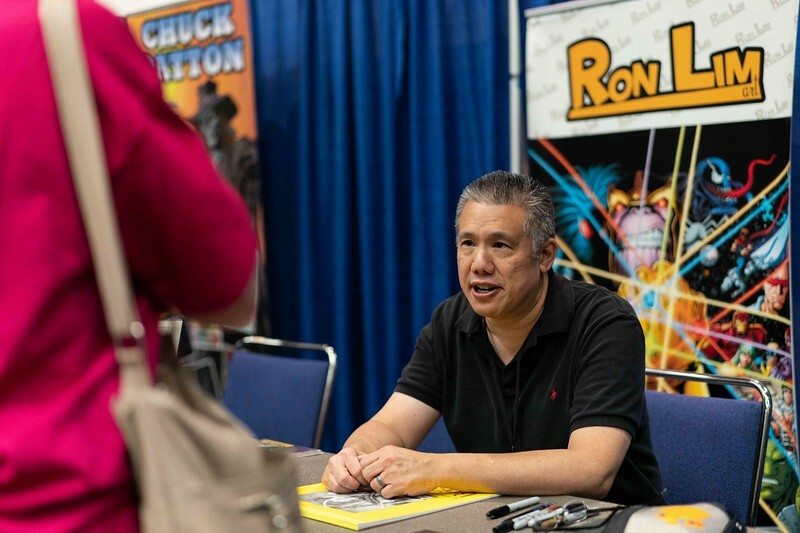 Ron Lim, who had an awesome run at Marvel comics in the 90's, was there. 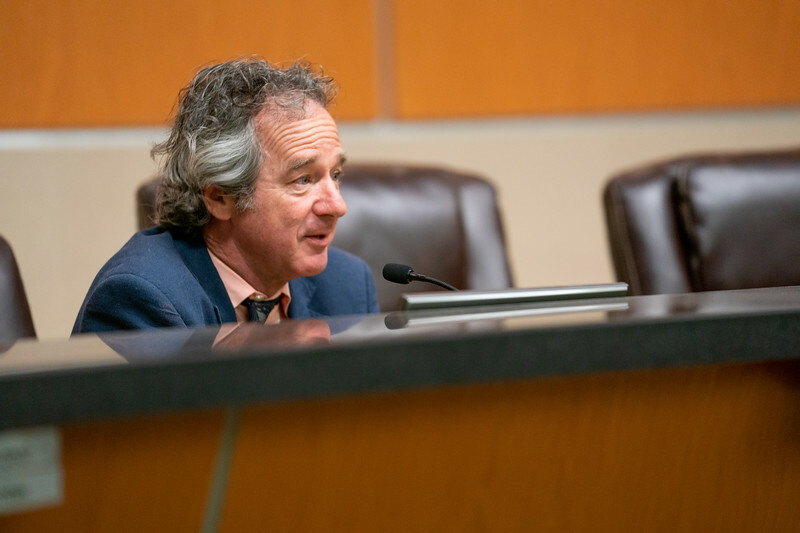 I loved his work on the Avengers, and you can see his rendition of Thanos behind him. 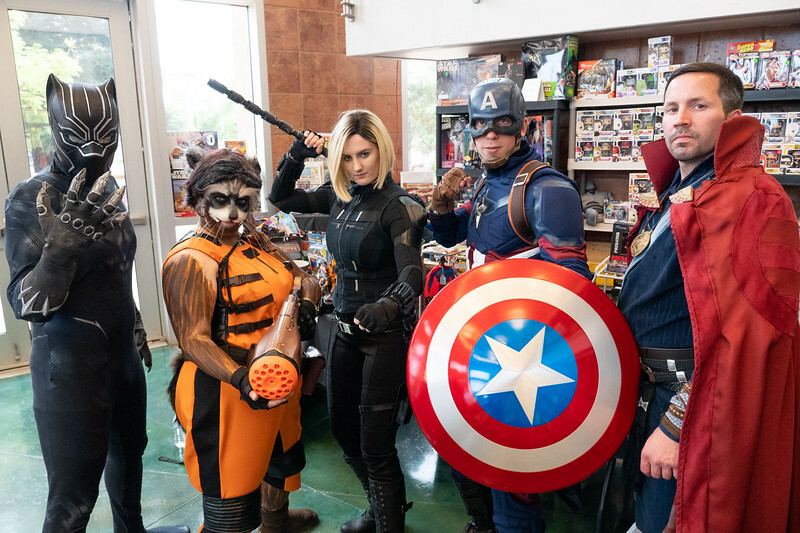 There was plenty of cosplay on display at Sac-Con. 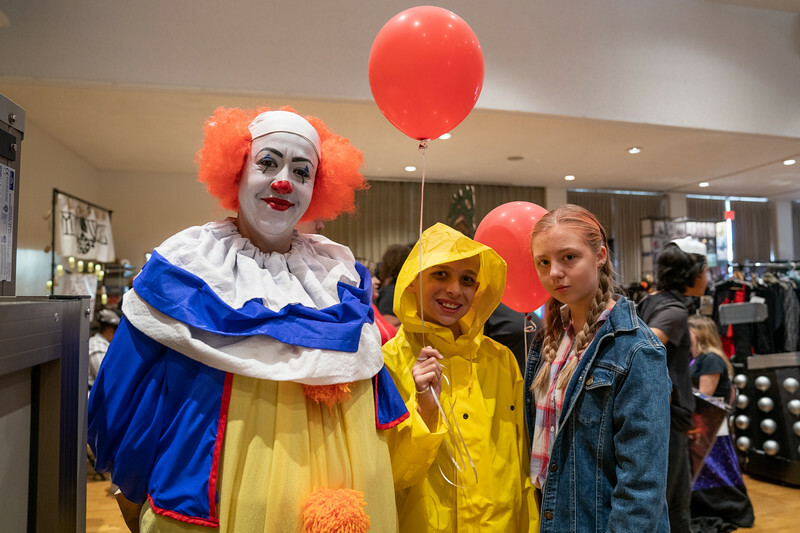 It was awesome to see everyone get into the spirit of it - we had really young kids to adults who came dressed as their favorite pop culture icons. 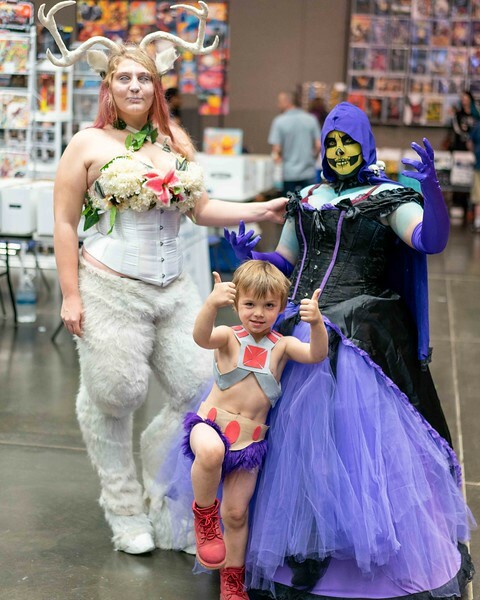 Sac-Con is definitely a family event, and there were lots of families out seeing all the awesome things for sale. I was really impressed with the cosplay this time out at Sac-Con. Though it's a smaller con, the cosplayers came out swinging with some very elaborate and accurate representation of their characters. 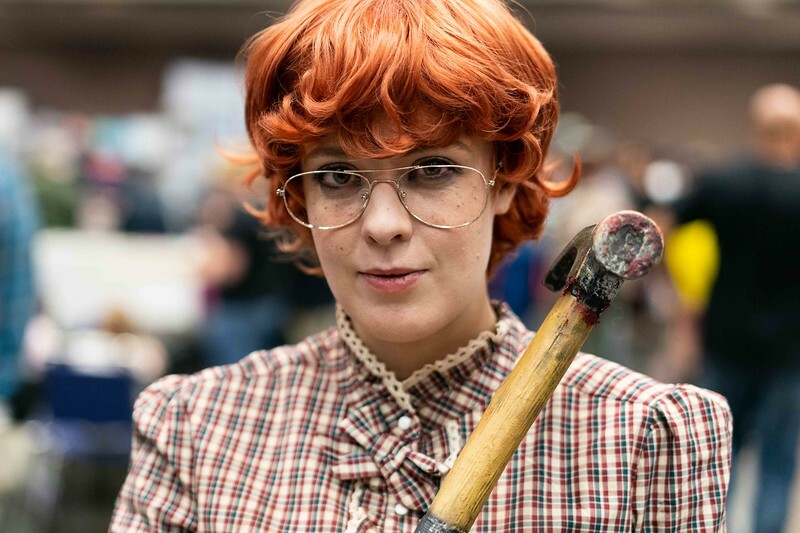 Above is Steph with her Barb from Stranger Things cosplay. She looks so good! Sac-Con was a ton of fun and I'm so glad I went to it. This is a con that I'd highly recommend attending if you're at all into comic books. It's not as expensive as some of the other cons that are out there, and being only one day, it's a great time! 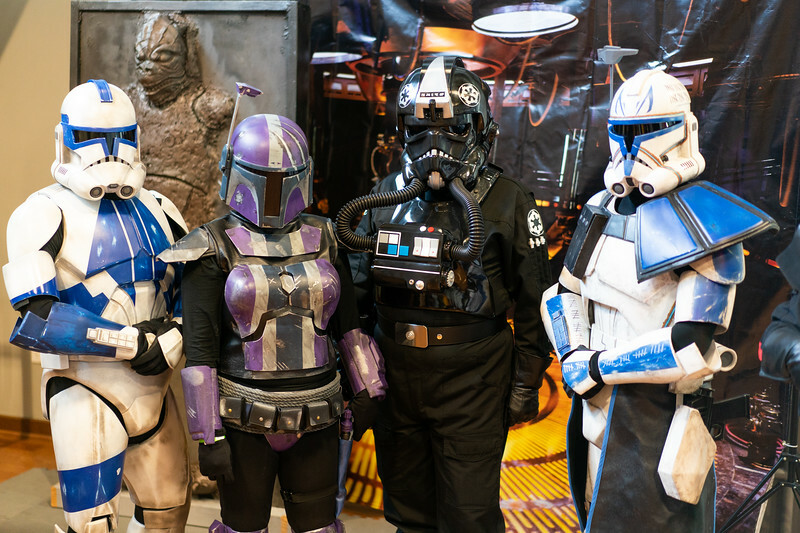 CLICK HERE if you'd like to see the rest of the photos from my time at Sac-Con! 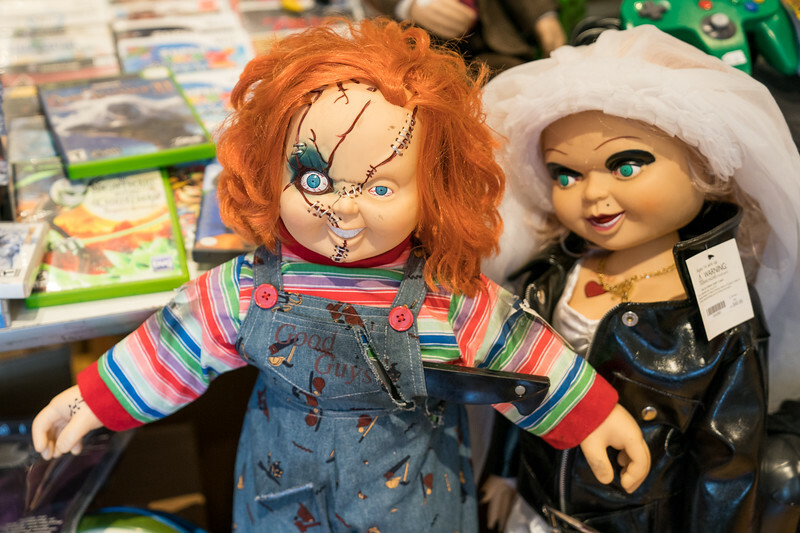 Sinister Creature Con is among us today and tomorrow, and it's the perfect time of year for a horror themed event. 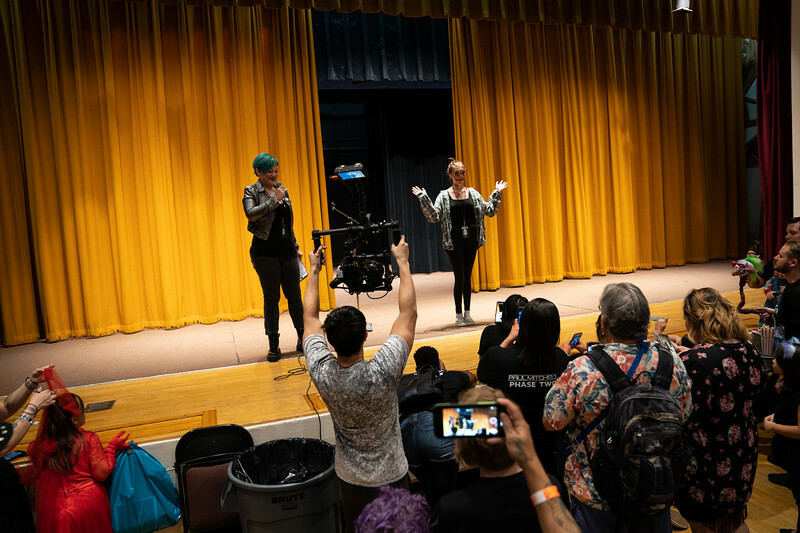 I've been really impressed with how Sinister Creature Con has grown year after year, and it is one of my most anticipated cons that I look forward to attending each time it comes around. 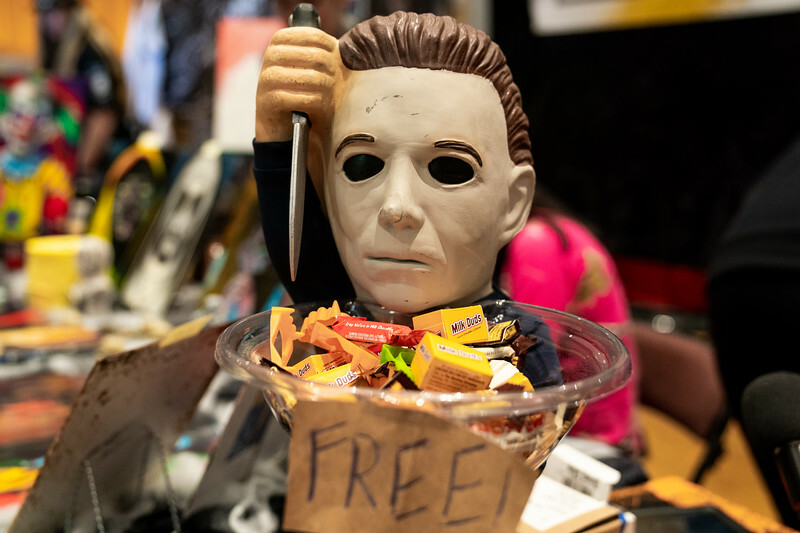 As it turns out, Sacramento has its fair share of horror fans, and the fans packed the event hall to check out all the ghoulish items on display and for sale. The items for sale aren't your typical Halloween store low quality fare. 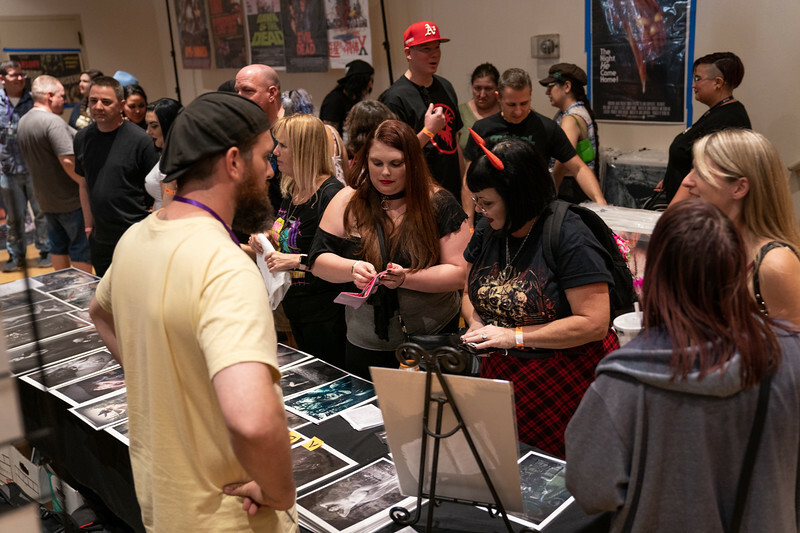 The vendors at Sinister Creature Con sell amazingly detailed items - many delicately hand-crafted with hours of work put in. You won't find a selection of stuff like this anywhere else. It's seriously impressive! And I kept hearing people around the event saying how much stuff they really wanted to buy! Oh, if only we all had more money! I did, however, end up getting a few choice items that I'm very happy with! So I'm glad I didn't come away empty handed. The entire show was packed with people, and it was actually quite hard maneuvering around the showroom. I went light - just carrying one camera and a small gimbal - but even that felt like a bit much with the tight spaces. Though it felt crowded, that's a good thing for an event as it shows the engagement the public has with the show. 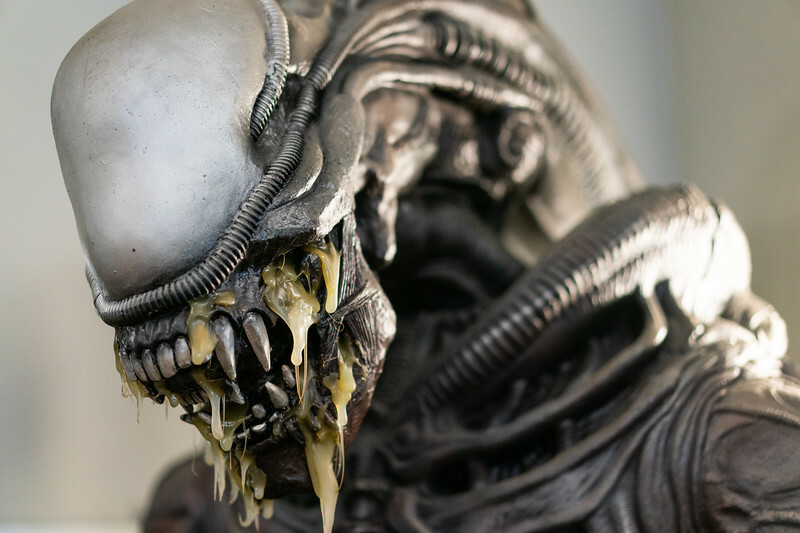 Like every year, there were horror make-up artists on site making people look scary. This is one of the only shows in Sacramento that I see these transformations actually happen on-site. I love watching someone begin the process and then come back later to see how much they actually changed. These guys are seriously good at what they do! 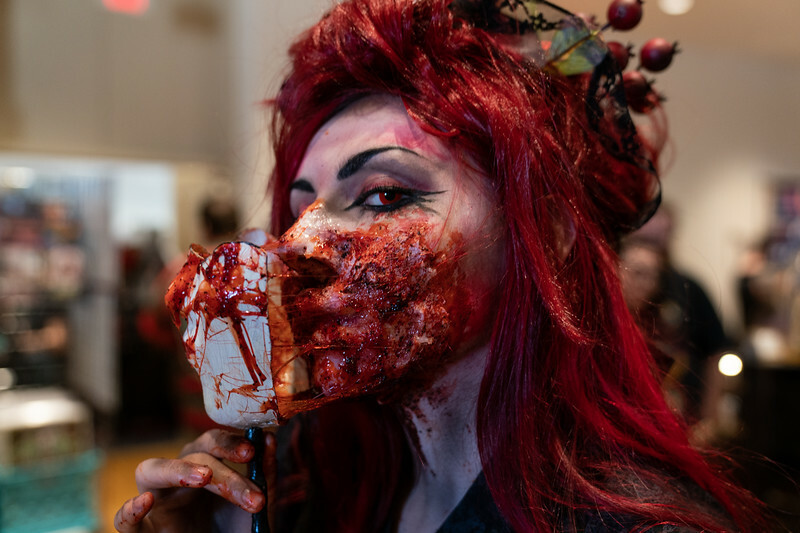 The cosplay and gory make-up was on-point everywhere you looked. My personal favorite was this one above. As she peeled back her lower mask you could see the bloody skin stick to her face. It was really an awesome thing to behold. Kudos to her for making this happen! Up at the front of the stage cosplayers got a chance to show off their cosplay and make-up. Many cons and events such as these have something similar, but I love that this gives an opportunity for people to really show off what they were able to accomplish. 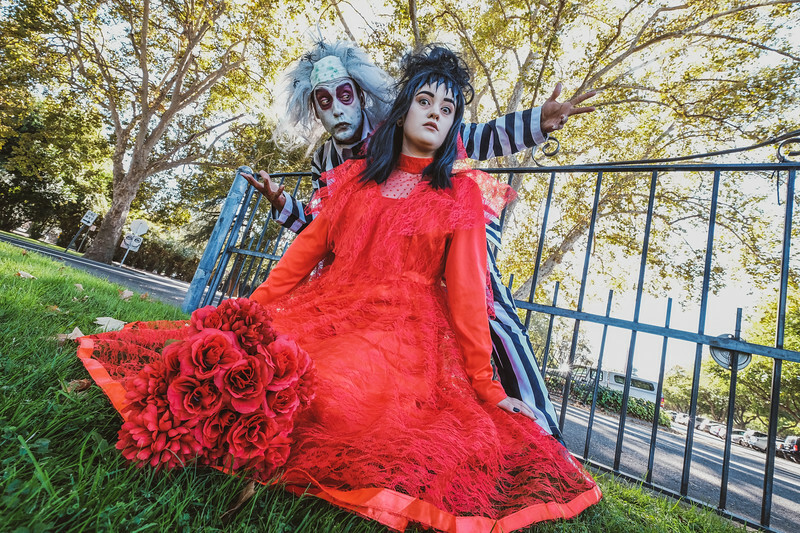 I was asked to do just one shoot today before I left for the evening, and that was for Beetlejuice and Lydia. Lydia looked especially elegant and just like the character in the movie! Just check out that dress! Crazy stuff. I had to shoot this with an ultra-wide lens as my main lens got a little dirty on-site. I think the look actually was quite good with this different angle of view! 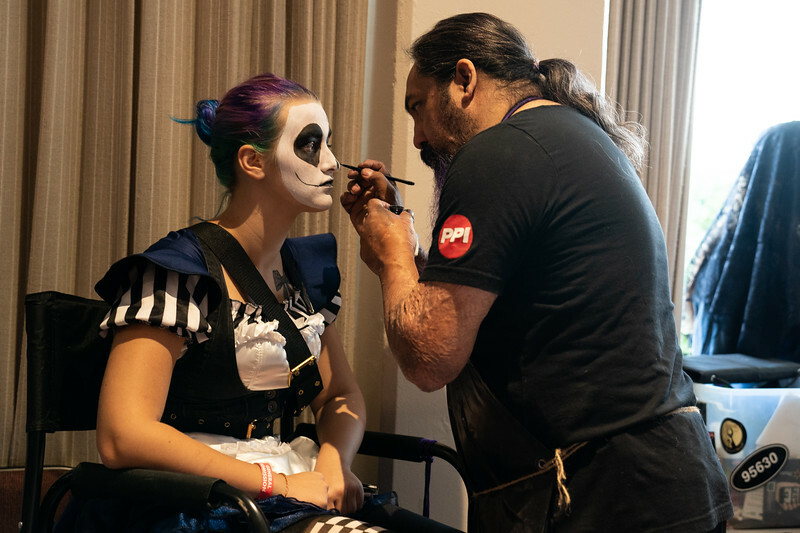 Sinister Creature Con was a ton of fun, and a great event for all ages to enjoy. 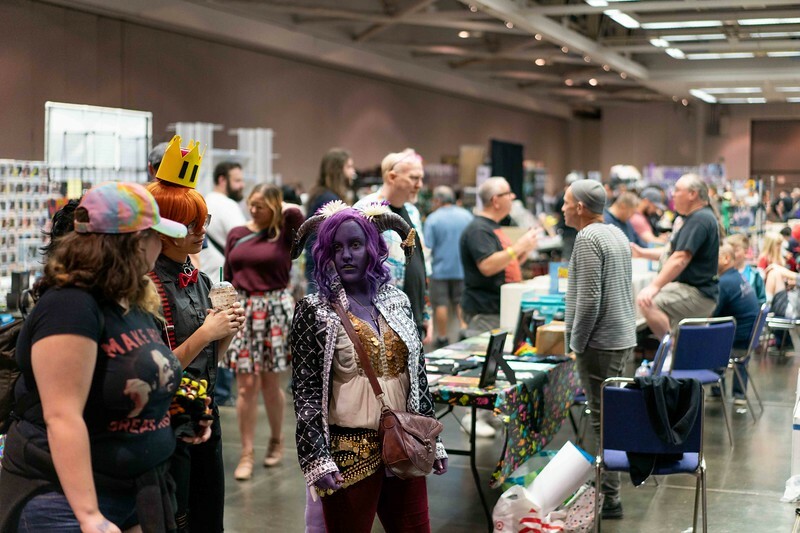 With special guests, great vendors, and a fun environment, this con is one that you should definitely not miss if you're in the Sacramento area. Check out more of my photos on my main site by CLICKING HERE. 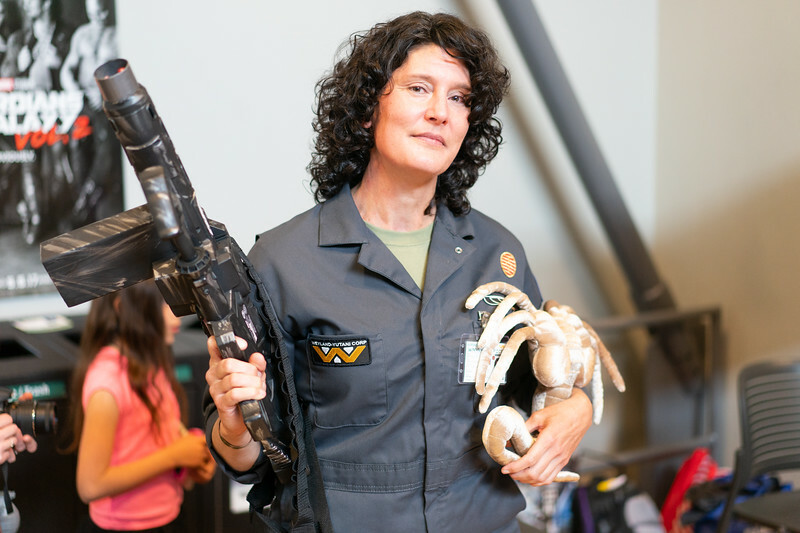 I cannot believe this is the 6th annual Crocker Con at the Crocker Art Museum in downtown Sacramento. Where has the time gone??? This 'con' is an event I always love going to because it's so different than everything else out there. 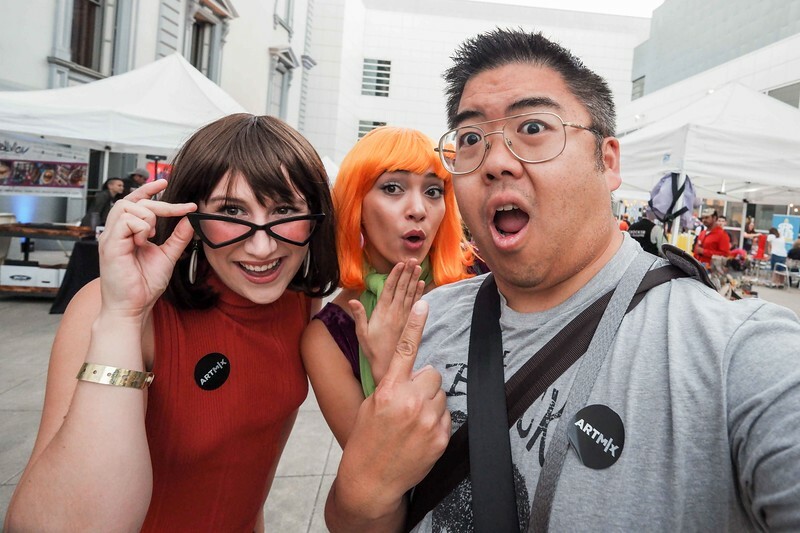 For those who have never been, it takes place on a Thursday night as one of the Crocker Art Museum's Art Mixes. It has a very different vibe than that of a big con that happens during a weekend. This is a much smaller event with a huge focus on artists and attendee participation. I really love this event because it's such a change from the hustle and bustle of its bigger con brothers. 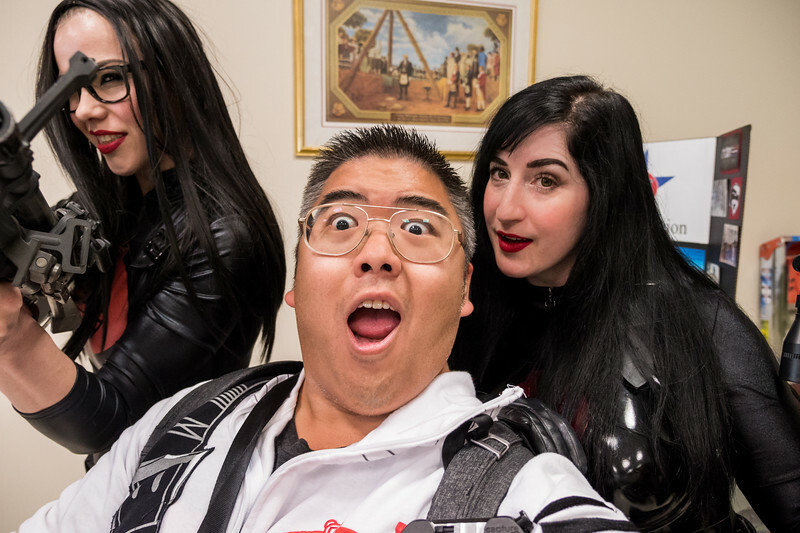 The mix of people at Crocker Con was certainly diverse. Many who came were not your usual con-goers. 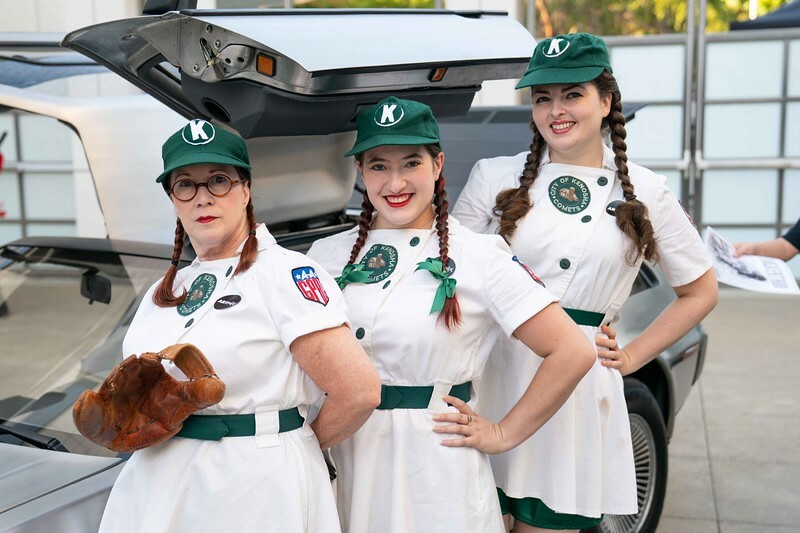 They were people who frequent the museum and dressed up just for this event. So while I did see a few familiar faces here, many of the people I ran into were completely new to me! It was a lot of fun being able to talk to them - many of them really enjoyed the cosplaying experience. Now this is something you don't see everyday! 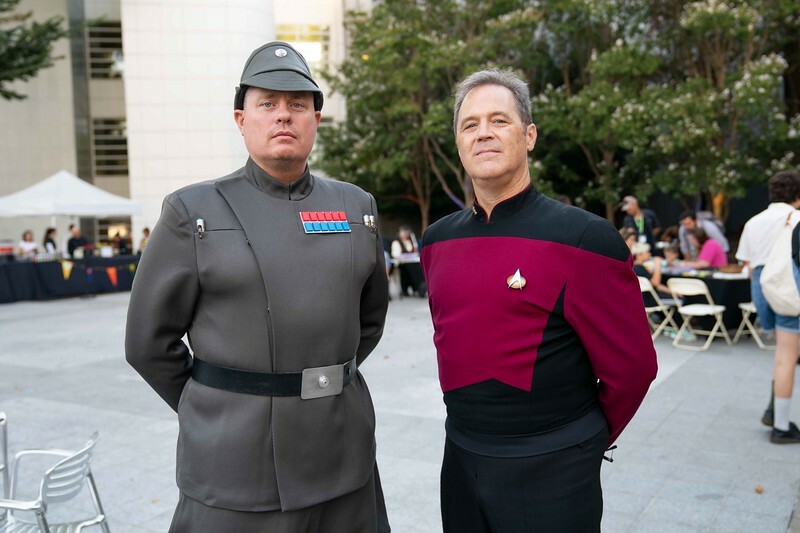 It's the Empire and Starfleet mingling together! Though this isn't typical in everyday life (or in media for that matter), Crocker Con is different. The fandoms really did come together and got to hang out with each other. And this wasn't just unique to this year. It seems like all the Crocker Cons I've been to have had Star Wars and Star Trek fans enjoying each others company. 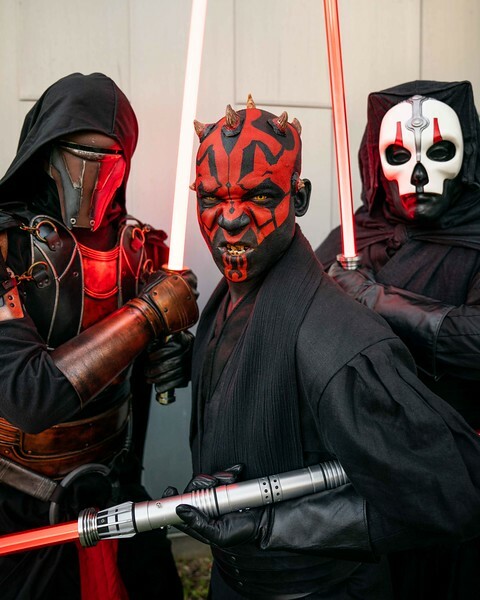 This trio of Sith cosplayers had their game on BIG TIME. They were menacing with their spot on cosplays. I'm glad I had the chance to get them in a photo together. I love the red and black aesthetic of the image I got. Like the previous years, cosplayers had the opportunity to be models for artists to draw. 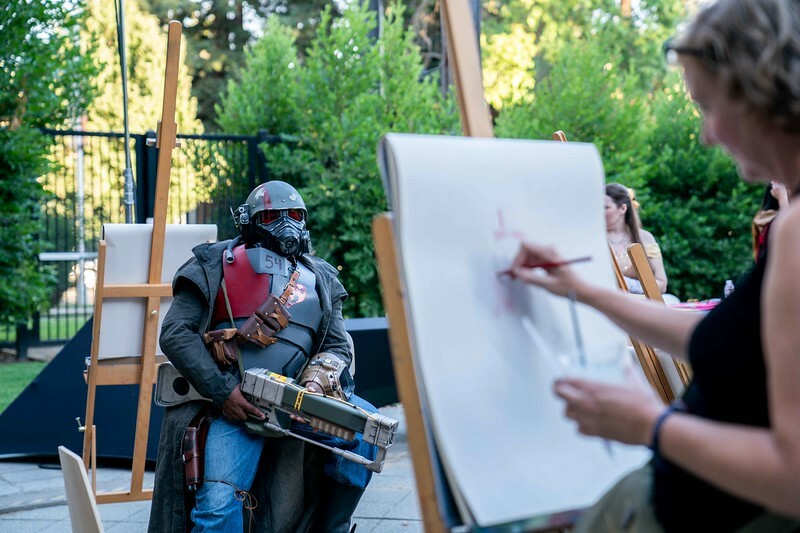 I'm not sure if I'd have the patience to just sit there for a long time for people to draw me... so props to the volunteers that were there. Thankfully the weather was cooler this evening so guys in the huge armor weren't sweating it out. As always, the Crocker Art Mixes feature some pretty awesome music. 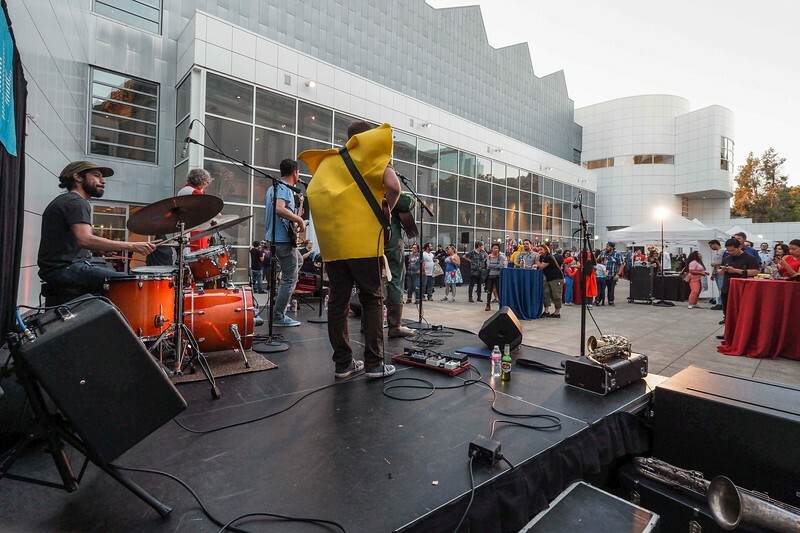 A live band and a group of DJs switched off providing some awesome tunes for everyone to enjoy while hanging out at Crocker Con. It was nice to see the band get into some costumes too. Good for them as having a costume on while playing can be a challenge. I had a great time at Crocker Con. The enthusiasm for this event just keeps growing and growing. 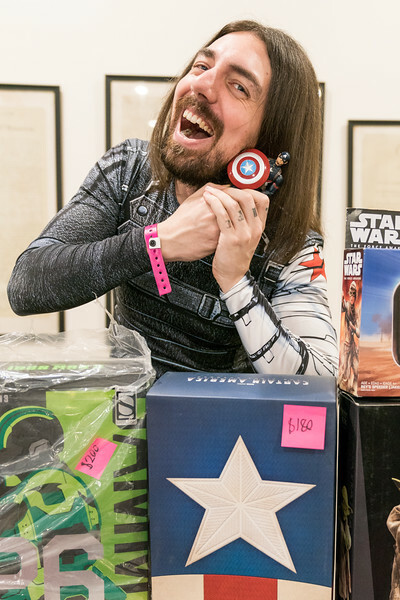 I'd love to return next year for the 7th annual Crocker Con Art Mix. Just let me know when it is and I'll put it on my calendar! 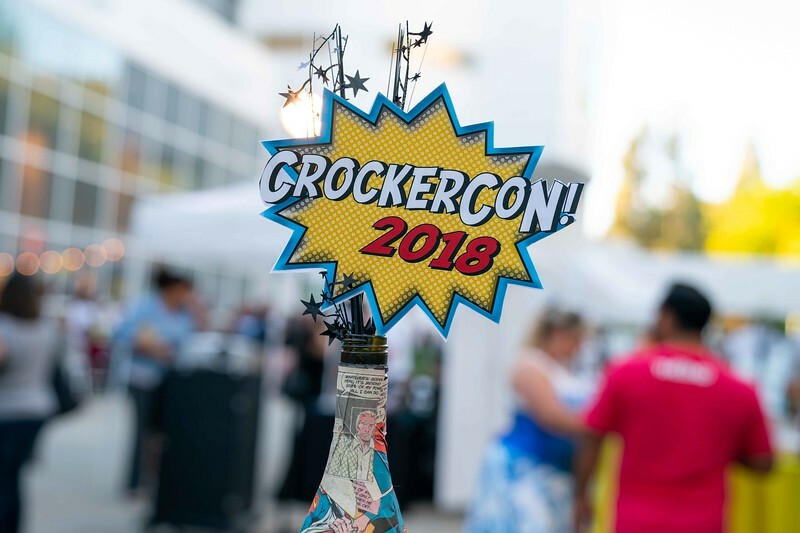 CLICK HERE for a full gallery of photos from Crocker Con 2018. 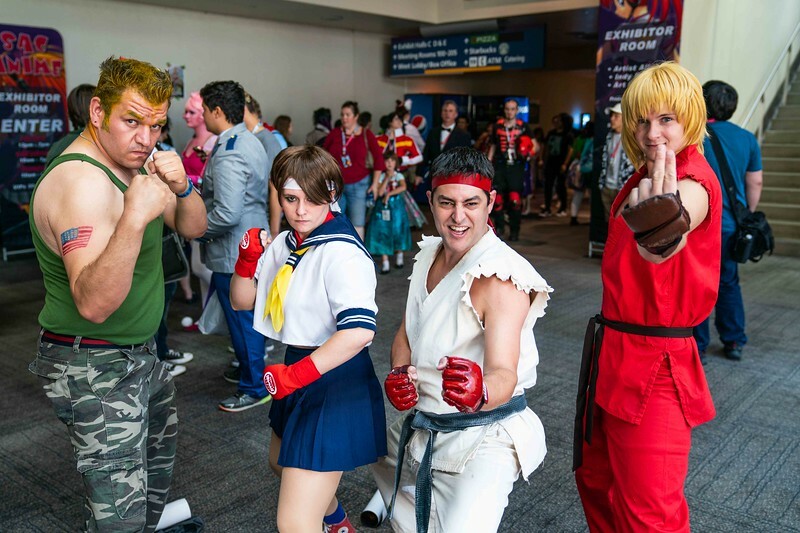 Summer Sacanime 2018 is here and all of Sacramento's best cosplay was on display at the Convention Center in downtown. 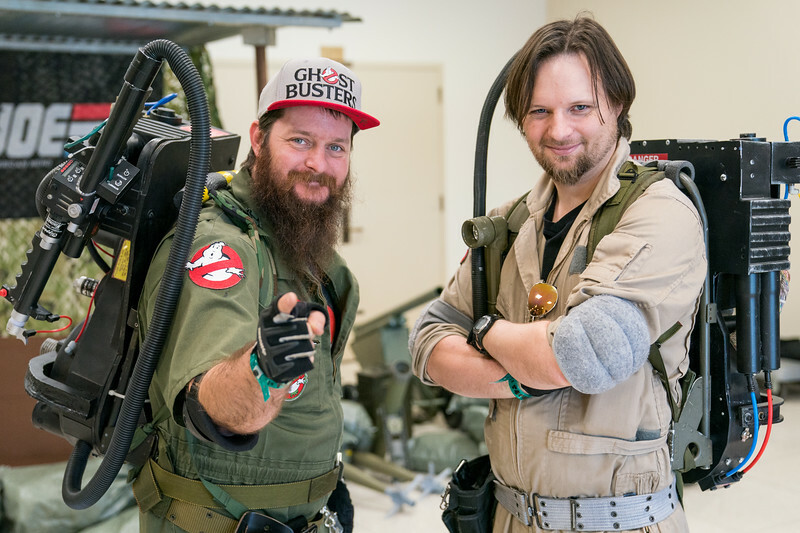 As always, Sacanime drew in thousands of people to celebrate their love of anime and pop culture. It's definitely my hands down favorite convention in Sacramento to attend and I'm glad it takes place twice a year. Sadly, this year I was limited to only attending the first two days as I had a prior commitment scheduled during the third day of the con. Man, it makes me sad to miss out! But I'm glad I got the chance to experience most of the awesomeness that occurred on this Labor Day weekend. I saw a ton of great cosplay as I walked through the Convention Center. 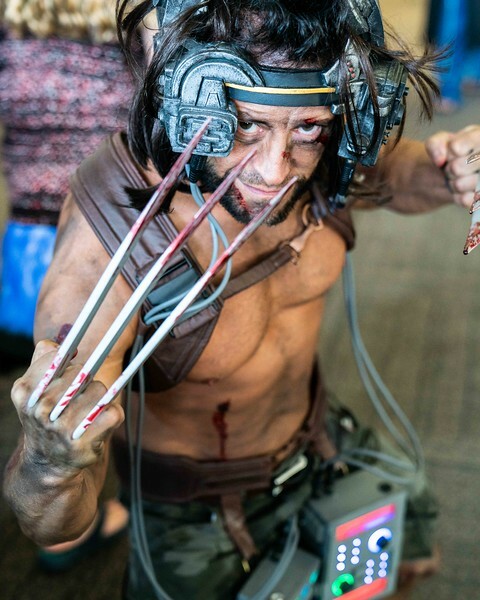 This Weapon X cosplayer always brings the fire as Logan, and he really outdid himself with this one. The detail is stunning - wish I could have gotten a full shoot with him in this cosplay. 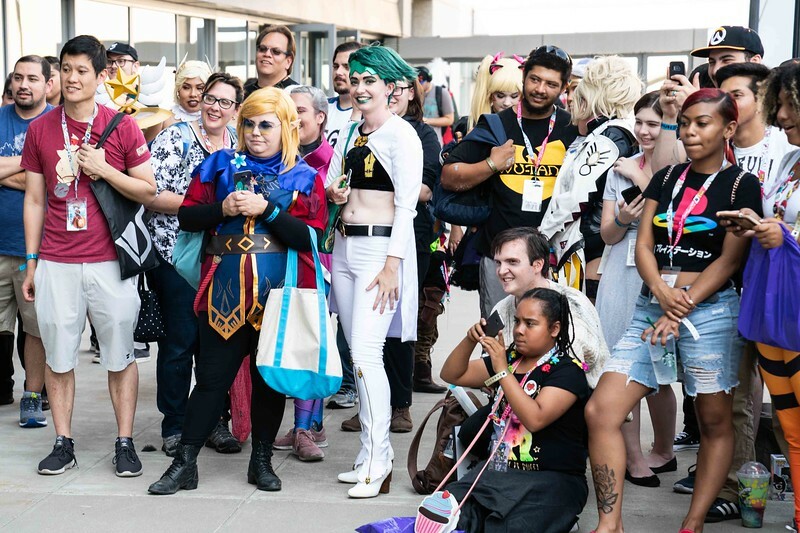 Cosplay group gatherings are a staple of Sacanime and this weekend the balcony was full of fandoms coming together. 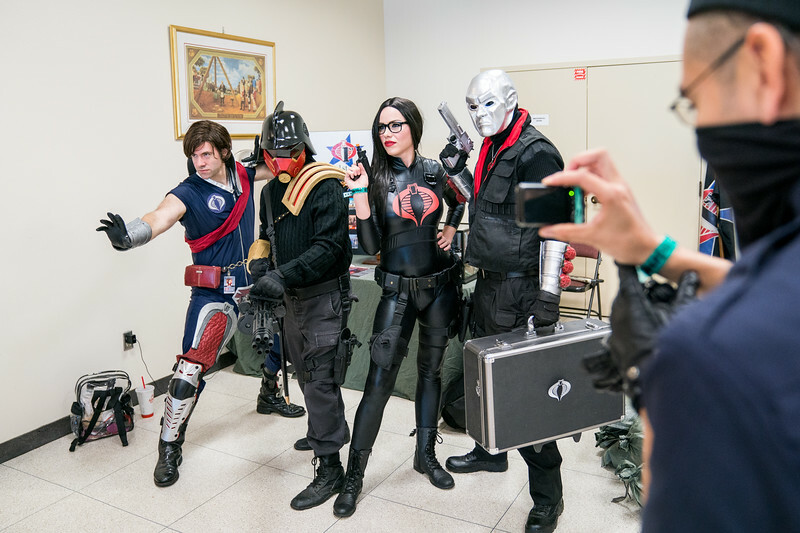 These group gatherings draw huge crowds to take pictures and check out the work the cosplayers have done. If you're into a certain fandom, it's worth it to go upstairs to the main list to see when the group gatherings are so you don't miss out. I personally love Overwatch so it's a gathering I make sure I go to. 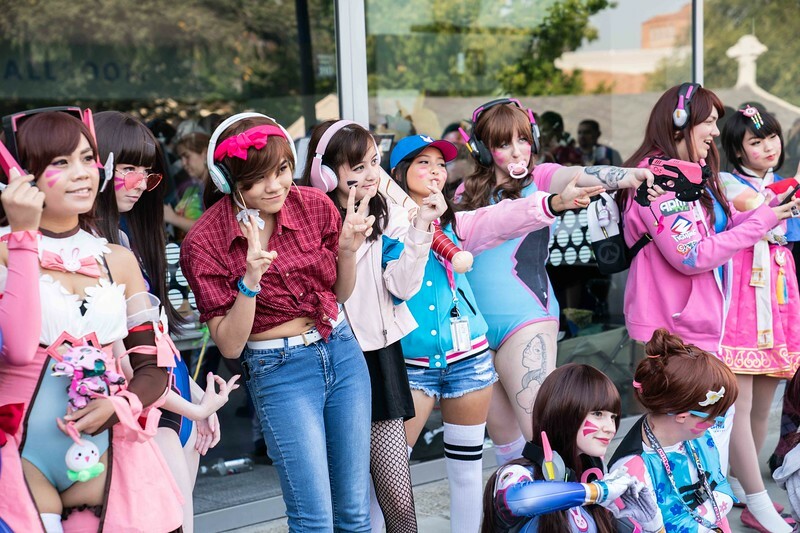 Overwatch has such a fantastic diversity in their line-up of characters including different skin mods so it's cool to see what people come dressed as each and every year. Now if only I was a better Overwatch player... that'd be nice. 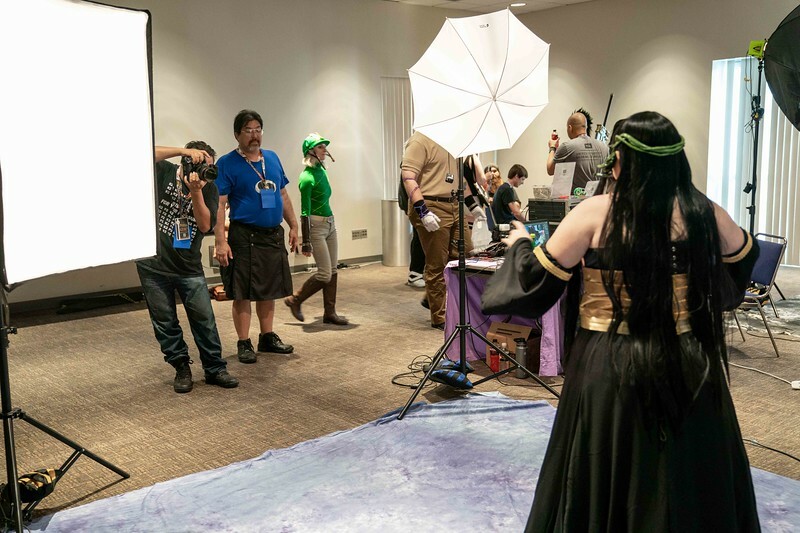 Cosplayers who want high quality photos of their cosplay can get a FREE photo session with professional backdrops and lighting. Perry sets up a room just for this and it's a great opportunity to take home something that shows off your cosplay. I'd certainly take advantage of this if I were in cosplay! For myself, I always try to get in a photoshoot or two while at the con. I typically don't do photoshoot reservations anymore, but if you manage to track me down I'd definitely be game to do a shoot with you or your group. Messaging me Facebook is a great way to get a hold of me. 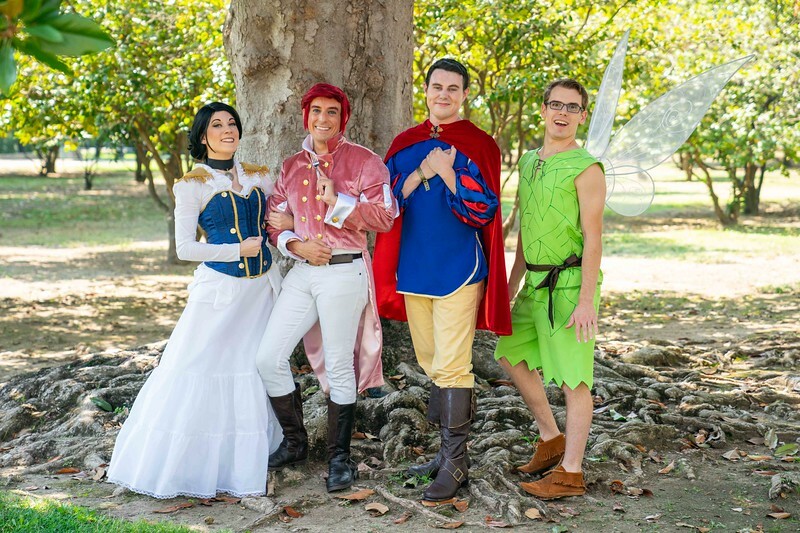 This Sacanime I shot this group of gender-bent Disney characters across the street at the Capitol Park. We were able to get some fabulous images. 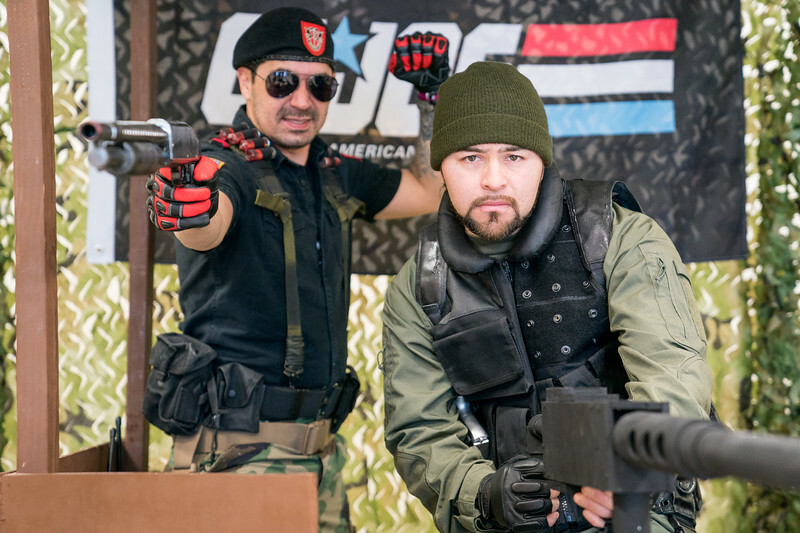 Sacanime isn't just about the cosplay, as there are many other things to do while there. Of course the panels are great to sit in on, but I have found that the game rooms are filled up with players who love table top and CCG gaming. You don't even have to know how to play a game, the folks there are totally willing to teach a game. I personally host a weekly game night and these games are fun. The game rooms are worth a visit and a try! And of course the vendor hall is where so much happens! There is just too much to see and buy whenever I go in there. Just taking a quick trip around the hall you'll most likely see a few items you'll want to buy. 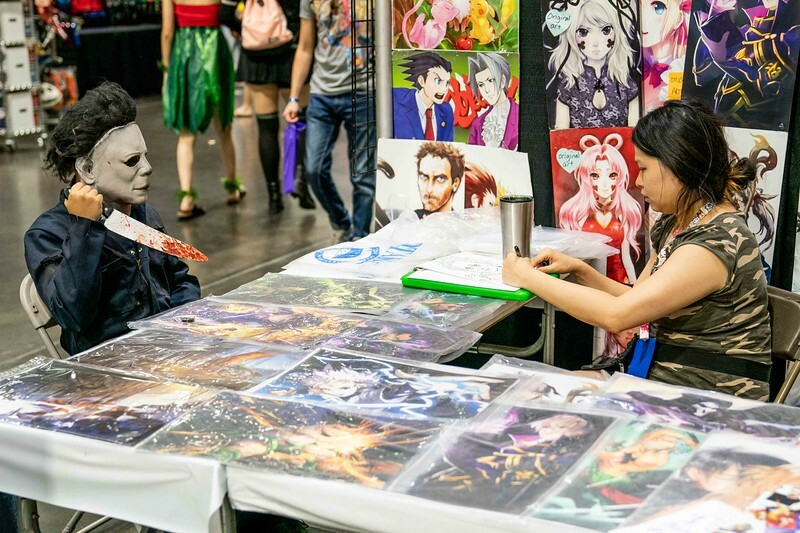 The artist alley is a great place to look around and see original creations by talented creators. And if you want to get a self portrait like Mike Meyers, you can do that too! I hope I got the chance to see you at Sacanime, if not... there's always next time or we can always schedule a shoot outside of the con. Huge thanks go out to the folks at Sacanime for putting on a great event as always. Looking forward to the next one already!